Every September I can tell when autumn is on its way because my friend Jenna is on Pinterest constantly. After months of being pin-free she’ll suddenly show up in my feed, pinning anything and everything that has to do with Halloween crafts, autumn foods and yes, even Christmas cookies. I’d give her a harder time about it, but I am a year-round Pinterest user. There is not a month that goes by that I am not pinning pumpkin-spice treats, summer BBQ ideas or yet another macaroni and cheese recipe. 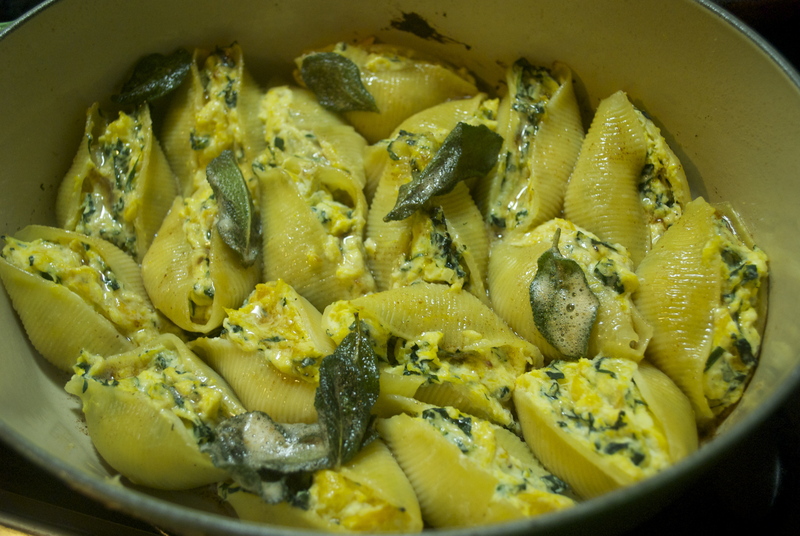 One such pin, from early this spring, was a dish that I have been determined to make the second the weather turned cold: jumbo pasta shells, stuffed with ricotta cheese, spinach and roasted squash, topped with sage and brown butter. And let me tell you, with every bite I found myself missing the sunshine a little less and looking forward to Halloween, roasted chicken and cuddling on my couch with my kitties. 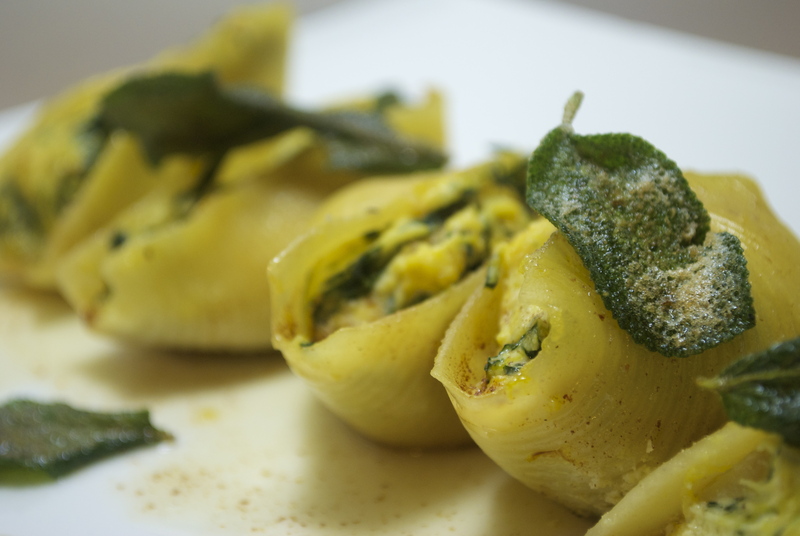 The squash adds the right hint of the season without being too sweet, the lemon zest brings some brightness and the copious amounts of cheese are there just to make you feel loved. So if you’re still having a hard time adjusting to the fact that it’s almost October, you should make this very soon. I promise it will help! 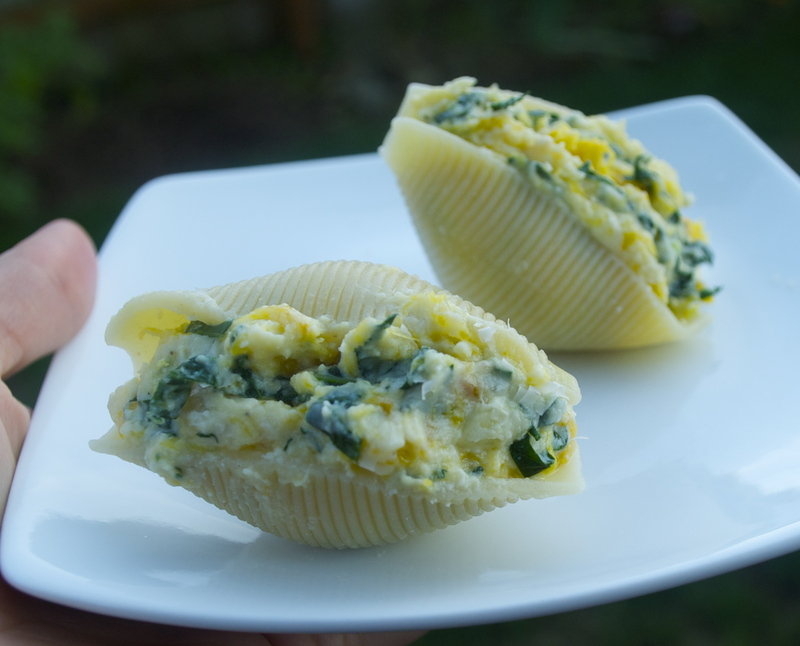 Here’s a link to the original recipe and here are the changes I made: I used an acorn squash instead of a butternut and I subbed blanched kale instead of the spinach — I like the texture better when cooked. I also added a half a roasted onion, finely chopped, for extra oomph. Here’s some pictures of the process to help inspire! 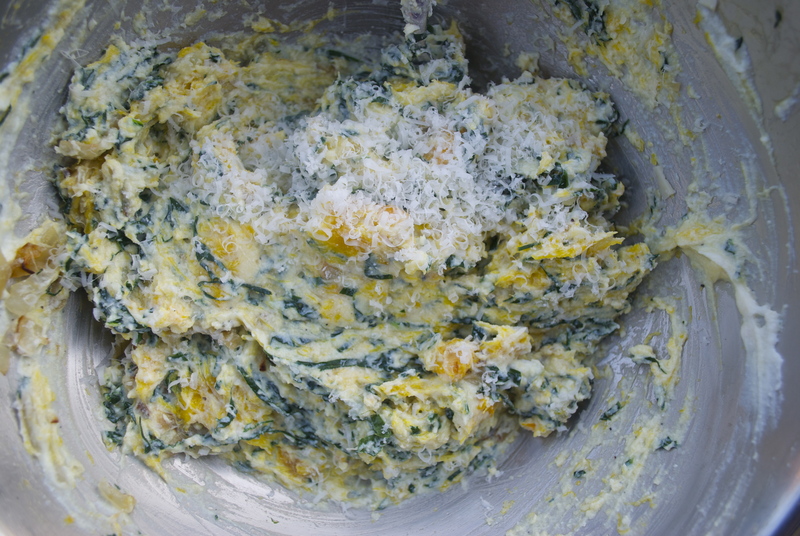 The filling includes ricotta cheese, roasted squash, lemon zest and blanched kale. 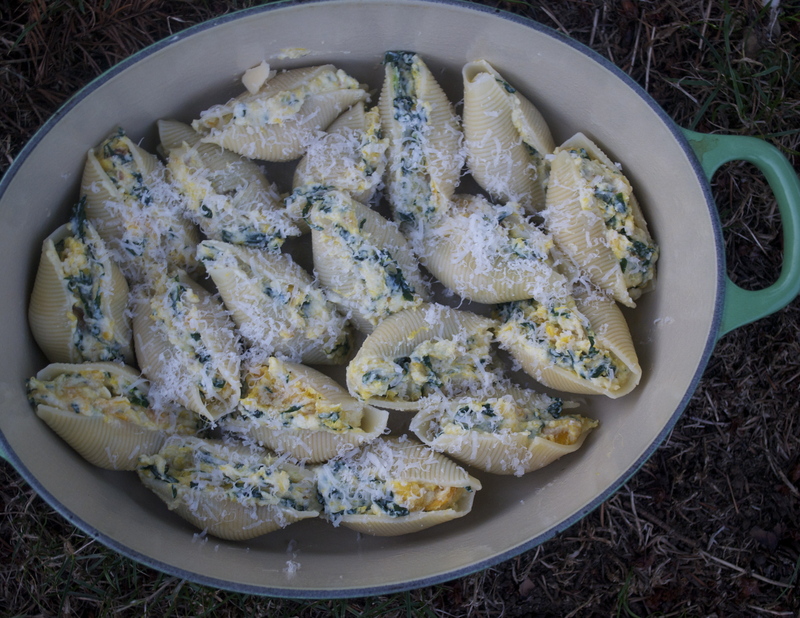 This entry was posted in Edibles, Entrees, Pasta, Vegetarian and tagged autumn, cheesy, fall, food, life, pasta, pinterest, recipes, squash by Jessamine in PDX. Bookmark the permalink. That looks delicious and great write-up! Looks delicious! Will have to try making this sometime. Thanks for sharing! These look delicious! My mouth is watering. 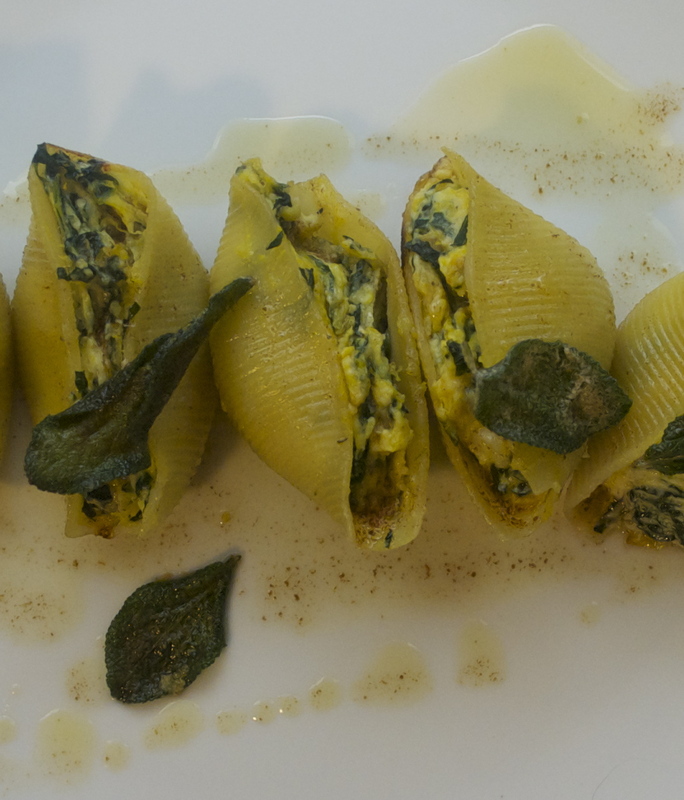 A great alternative to other stuffed pastas like cannelloni and ravioli. I will definitely be giving this a go!! 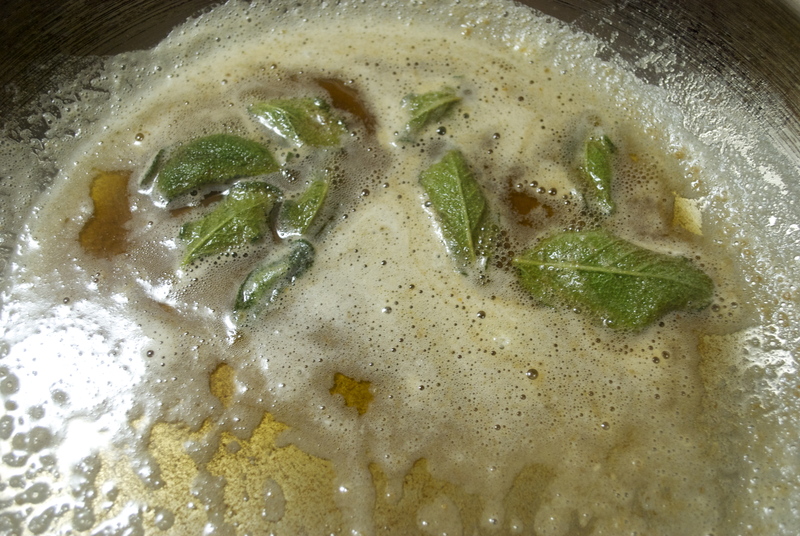 Oh yes — blanching is key. But I’m glad it still turned out good. =) Nutmeg sounds like it would be great in there too. Next time I make this dish, I’m adding some!